"Here are a few bits of good news from Le Centre Triratna de Paris, since our last reporting to Triratna News. "Mid-July we had a joyful afternoon at the Centre to welcome Manibhadri, who was just back from her ordination retreat. 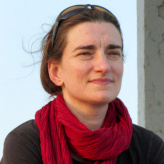 She is the first fully ‘home-grown’ French Order Member, so her ordination is not only a happy event; it is also a significant step in the life of the Paris Centre. "A few days ago, there was another reason to rejoice. On the occasion of the full moon puja at the end of Sangha Day, Arguiro, James, Manuela, Pascal and Rached all became mitras – almost doubling the number of active mitras in Paris. "And a couple of days later, we launched our new web site. A few years ago Suvannavira developed a web site for the Centre, a site with a very rich content, and very visible on the Internet – and that was great. But we have increasingly felt that it could be better – and here it is now: www.centrebouddhisteparis.org. "Based on our previous site, it explains more clearly who we are, who Sangharakshita is, our approach to the Dharma, and what we do at the Centre. It is mainly the result of the work of Marc, a mitra and web designer, who adds imagination and an eye for beauty to his professionalism. So do not hesitate to practice your French! "The picture shows Manibhadri (left) and Vassika outside the Centre - with our new name and logo on the window". 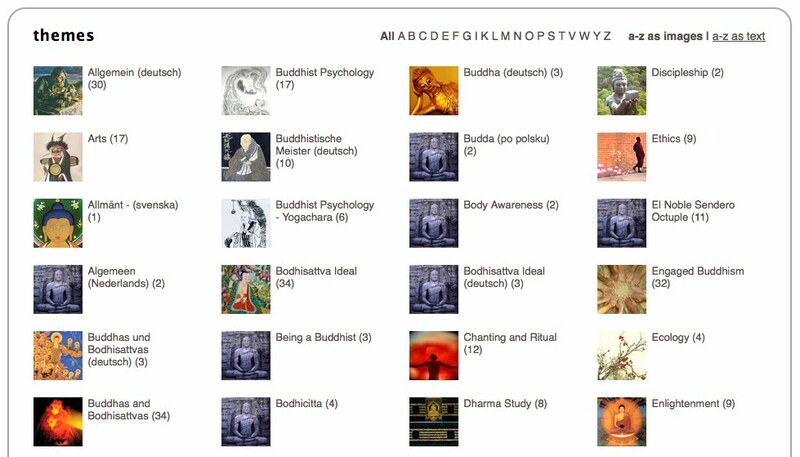 Subhuti has just released a new paper entitled 'Re-imagining the Buddha'. Co-authored with Sangharakshita, and based on a series of conversations they had together this Autumn, it's an important clarification and extension of Sangharashita's thinking on the subject of ‘The Imagination’ - and of especial interest to both Western and Indian Buddhists. In the paper Subhuti covers the importance of Imagination, gives a potted history of it in the West, then discusses three areas where it touches on our spiritual lives. Those areas are; imaginative empathy with living beings, aesthetic appreciation as a path to higher states, and imagining the Buddha. The last area is probably the most significant for members of the Triratna Buddhist Community in which we see Sangharakshita presenting a vision of how to find the Buddha in the modern world - whilst being ever more grounded in the historical reality of the Buddha. These ideas have always been present within Sangharakshita’s teaching, so this is not new – but a further clarification. Now it is published and available as a PDF here - or, courtesy of FreeBuddhistAudio, in it's pre-publication form of a series of talks by Subhuti exploring the theme. "Dear brothers and sisters in the Dharma, Vidyajyoti died peacefully on 21 December 2010 at 4.23pm GMT. Her dear friends James and Sita were by her side. Friends gathered around her after her passing and we recited the Heart Sutra and chanted the Vajrasattva mantra. "The cremation will be held with a small gathering of friends. 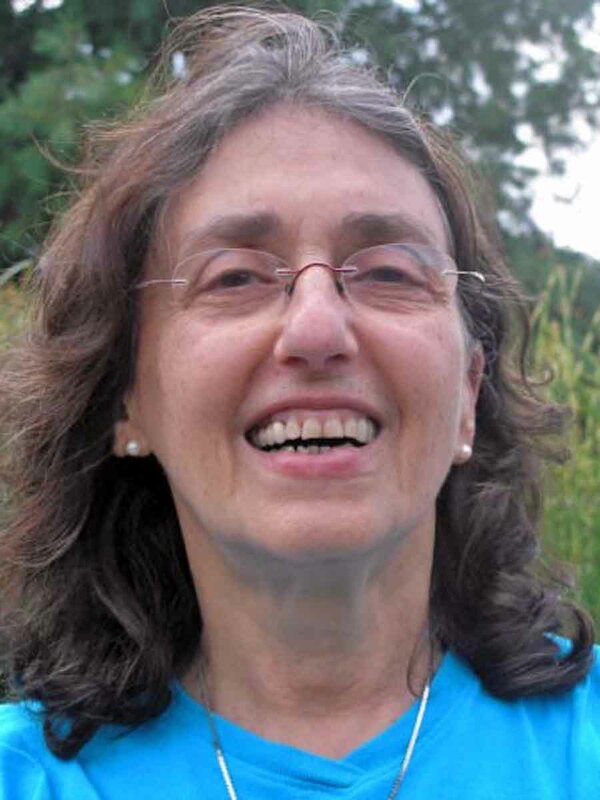 A memorial service to celebrate her life and rejoice in her will take place at a later date in January at the London Buddhist Centre. Details to follow. Vidyajyoti was ordained in 2000, when she was given her name, meaning 'She who has the light or fire of learning or aesthetic appreciation'. 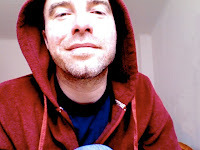 At Free Buddhist Audio our mission is to provide opportunities for people all over the world to receive the gift of the Dharma and connect with the Triratna Buddhist Community. As we bring our Seven Days of FBA to a close, we want to thank you for listening to our stories, meeting members of our community and celebrating our accomplishments with us. Please consider Giving the Gift of the Dharma today by making a contribution to Free Buddhist Audio. Your gift will make a difference to so many people whose lives are changed through daily contact with the Buddha's teaching. Your gift will help more local Triratna Buddhist communities around the world share their own talks online, and allow us to continue translating our site into multiple languages. We will continue to be there for practitioners like you, providing our free Dharma service to thousands of people from all walks of life. Join our community! Make a Donation! Get involved! Rose F. Kennedy wisely said, "Life isn't a matter of milestones but of moments." In reflecting on how far Free Buddhist Audio has come since its inception in late 2006, we can see the many years of setting up conditions to bring into being what many have come to experience as a dynamic, beautifully crafted, easy to use webspace full of amazing Dharma resources. We have enjoyed sharing some of our stories with you this week, and what these amount to are not just many milestones, but many moments marked by deep inspiration in the Dharma. At FBA we aspire to provide free access to the Dharma for people all over the world. To provide the best service possible we need the help of many people in our international community - from those who have recorded Sangharakshita from 1964 to the present time, to those giving and recording talks all over the Triratna world today. We thank the ones who were willing to work with us in developing our Community Upload system that allows each local Triratna center and project to contribute directly to our growing archive. We thank our team and our volunteers who do indexing, transcribing, translating, promoting, and fundraising to help keep the whole system functioning and growing. And, of course, we thank all those who are able to contribute financially to support the team which holds the project together at its core, providing vision, structure and resources to preserve our treasure house of teachings and make them readily available to all who desire access to the Dharma. How many people visit our site? How many downloads are completed each year? Earlier this year, we anticipated reaching an important milestone. 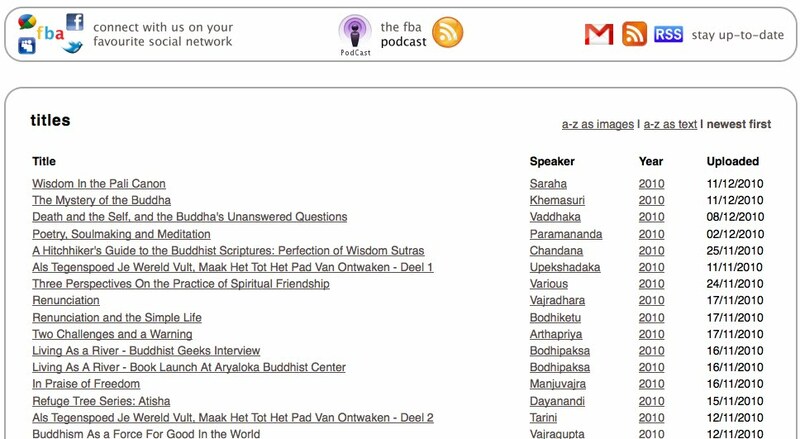 Based on a number of factors, we estimated that at some point this month, the one millionth Dharma talk will have been downloaded through our podcast and the site itself. To put this in perspective, we used to sell a few thousand tapes and cds a year! So this is an amazing accomplishment - and an amazing improvement! What was our most downloaded talk? 'Just Sitting' by Subhuti, given last summer at the European Chairs Assembly with over 45,000 downloads. Our next popular download is Dhammadinna's 'What is Mind' talk given on the 2001 Triratna Order Convention with around 34,000 downloads. Who are our visitors? Where are they from? Our top country this year was the UK with 65,175 unique visitors coming from nearly 800 different cities and towns. It's no surprise to the FBA team that the top city was London, followed by all the cities with major Triratna activites: Manchester, Cambridge, Birmingham, Bristol, Sheffield, Glasgow, Ipswich, Norwich, and Edinburgh. FBA tracked 54,022 visitors from the United States last year, every state being represented in our user profiles! The top 10 states were California, New York, New Hampshire, Texas, Florida, Massachusetts, Arizona, Washington, Illinois and Pennsylvania. 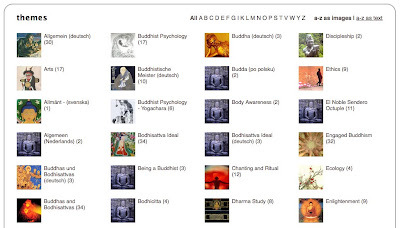 We have Triratna Centers in 4 of those ten states which indicates that FBA plays an important role in introducing new people to the Triratna Buddhist Community through the internet as a distinct medium in itself. Mobile devices are seeing an increase in usage, with over 5000 visits from mobile devices, including the newly released iPad. Our new site is built on new standards that will make mobile use much easier in the years to come. Earlier this year we completely redesigned the site (FBA 2.0!) based on feedback from our community of users. Building on the original structures and functionality, we put in place a new menu system and redesigned the visual layout, at the same time expanding our capacity for organizing the growing archives. As you may have read earlier this week, we also improved and expanded our search engine to provide better access to our range of audio and text archives - over 1000 recorded talks and 17 million words! To further our vision of an international Buddhist Community connected online, the site now places more emphasis on local archives of talks and on community use of our resources. Our brand new Community section lets you join Free Buddhist Audio and get access to unreleased recordings, keep up to date with our Facebook and Twitter pages, and help us build the future with support for fundraising in your local community. In January, we anticipate our 1000th member... We are very happy indeed about that! Aside from promoting our Community Places project within the Triratna Sangha, we've also created our first translation team, and visited (or otherwise been in touch with) people at Buddhist Centers around the world, providing encouragement, resources and support to help them get what they need from our service. In October, our 500th talk was posted through the Community Upload System. This important milestone was accomplished when Vajratara delivered, recorded and uploaded, 'The Three Jewels of Buddhism' at the Sheffield Buddhist Centre. We now have talks in 11 different languages from 10 countries! In response to our success of the past few years, we have increased the size of our team. We now have 5 members (3 full-time and 2 part-time) along with a great group of volunteers. We see this very much as an investment in people in order to take Free Buddhist Audio to the next level - so we can continue to provide high quality access to the Dharma, offer professional archival services to Triratna projects worldwide, and help build our international community online. To support our team - and all these new developments! - we launched this spring a major fundraising campaign to secure the future of FBA, aiming to grow our regular income by finding 500 new Supporting friends able to give monthly contributions. We also conducted a promotional tour of Buddhist Centres in Britain and the United States, with plans for further visits in the coming year. Our aim is to get FBA fans and ambassadors working in teams around the world to help us with promotions and fundraising for this amazing resource. If you think you can help us in any way with that - please do get in touch! • Creating translated versions of the newly designed site, beginning with Spanish, German, and Hindi. • Working to make available more Dharma talks by women currently stored on cassette tapes in various locations around the world. 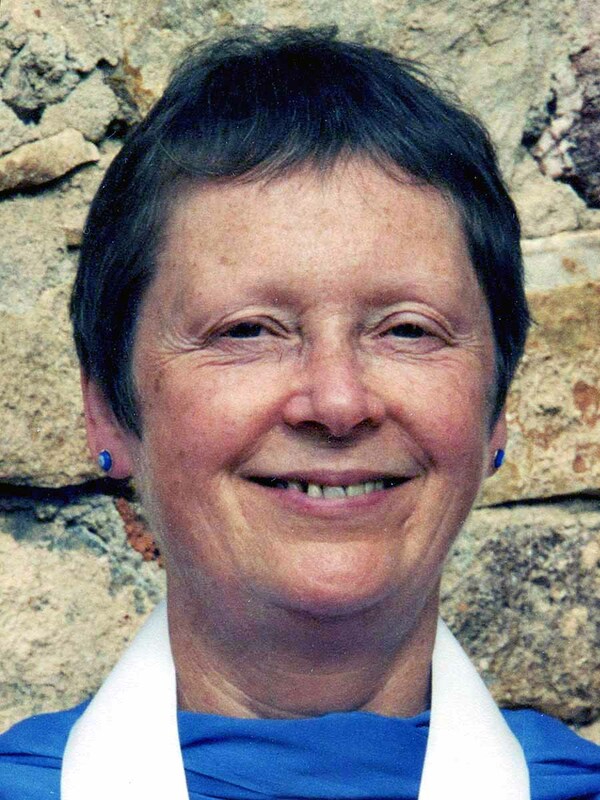 • Striving to provide support and guidance for more Triratna Centers, businesses and projects looking to create their own archival spaces on Free Buddhist Audio. 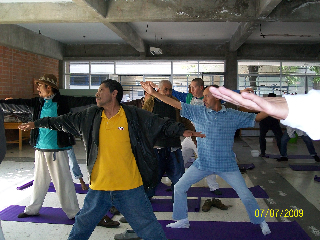 • Creating customized FBA e-newsletters for Buddhist Centers around the world. • Continuing to build relationships with Triratna Centers including visits and FBA sponsored day retreats. • Emphasizing what is unique in our Triratna Community within the wider Buddhist world. • Introducing new services specifically for the Triratna Buddhist Order. 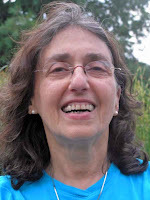 I immediately found Vajrapriya's talk to be very heartfelt, one that I resonated with my own approach to metta practice. As I listened a few times, I began to really appreciate being able to touch into another person’s Dharma practice so directly, just by listening to them give a talk. Afterwards, I began thinking about all the people who will listen to this talk, the person who recorded it, the person who made it into tracks for easier listening. Who are these folk who help create the services Free Buddhist Audio has to offer? So I decided to connect with three key volunteers involved with producing Loving What Is and asked them to share a bit about their experience of coming into contact with this bit of Dharma through FBA. Let me introduce you to: Vajrapriya, who gave the talk, Michl Britsch, who indexed the talk, and Mary Salome, who edited the talk into tracks. May their generosity in making this talk available on Free Buddhist Audio be of great benefit to many beings. Giving of oneself in the form of a Dharma talk is a very generous act, and recording it to be able to preserve it as part of our oral tradition, sharing it with our worldwide community of practitioners...this is the act of an aspiring Bodhisattva. On Free Buddhist Audio we love to have talks broken down into tracks (indexing), which helps our users in a couple of key ways. 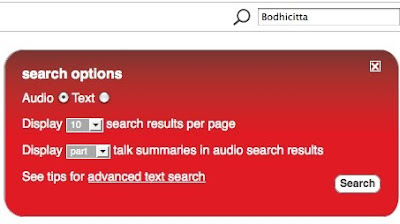 Having the talks indexed means we can return more accurate and helpful search engine results, as well as provide easy access to small bits of Dharma for use in personal or group study. I use them for playing relevant quotes while giving Dharma talks myself! So on the site we ask for volunteers to do tracking or indexing, which is a job in two parts: listening to and outlining the talk before tracking it, and then re-editing the original recording into its newly tracked form for re-uploading onto the site. "I, [Michl Britsch], decided to volunteer this summer when I was surfing FBA and saw the 'get involved' button. That was exactly what I wanted - to get involved in something that makes sense. At first it was a bit strange to listen to a talk which I hadn't picked out myself. I do not listen to a lot of Dharma talks each year but rather I listen to certain talks many times. They become a friend, a companion, like an album by a favourite band. By listening to a talk over and over again I can sense the layers of meaning sinking in more and manifesting on deeper levels. Indexing a talk was a bit different, but just as enjoyable. I think for the first time I really was looking up words, checking background information on wikipedia and really (hand-)writing notes. It was amazing to listen with this kind of mindfulness. It was beautiful how with every listen the form and the structure of the talk became just a little more clear, like sculpting. As a musician I can say indexing a talk can be just as much fun (and work for sure) as writing lyrics to a song or arranging a piece of music. Thanks Free Buddhist Audio for the opportunity to GET INVOLVED!" The Final Bits - Only Techies Apply! Mary Salome, an FBA volunteer since 2008, has put her extensive audio skills to work on transferring a number of DAT cassettes to more readily accessible digital formats. She has an interest in working through the archive of talks given by women in the 80s and 90s, which are stored in various places around the world on cassettes. I approached her to do the work of breaking the talk into tracks as part of this article, but the timing for her was of great personal challenge. "Often when I edit audio, I stop listening to content because I'm focusing on other issues, such as removing microphone noise or coughing, correcting levels, filtering hiss, etc. When I began working on this file, I was grieving the recent loss of a cousin to suicide. While I was editing, a close friend attempted suicide, and I came home to his note. A week after that, one of my aunts died, and about a month after that, another aunt was diagnosed with breast cancer. To say life interrupted my volunteering would be a serious understatement. When I was able to come back to the file, I found that I heard what was being said in a way I didn't in the beginning. The idea of loving what is resonated with my need to accept, with metta toward myself and others, the difficult reality of the situation. The file was a kind of companion to my process, and working on it was a healthy distraction on an emotional level. You never know how a recording is going to affect people later." As I finished off this article, I listened again to Loving What Is, and again reflected on all the conditions that go into sharing the Dharma in the ways Free Buddhist Audio does. Towards the end of his talk Vajrapriya shares something someone once said to him, that "Metta is what arises when you realize that being human isn't easy." With each of these stories from our three volunteers comes a bit of who they are, and who they became as a result of coming into contact with this Dharma gem. On behalf of all of us at Free Buddhist Audio we thank our Host of Volunteers - your time and energy in helping to make FBA a better service is very deeply appreciated, your efforts benefit many beings. 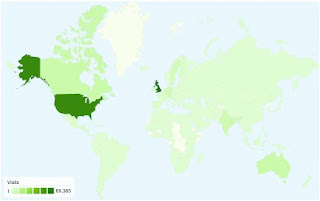 Here at Free Buddhist Audio we are a thoroughly international team, with volunteers around the world and core team members in the USA (east and west coasts), England and Saudi Arabia! So we are very happy to let you know today that our efforts to turn the site into a more international platform are well underway. Free Buddhist Audio serves an international community. 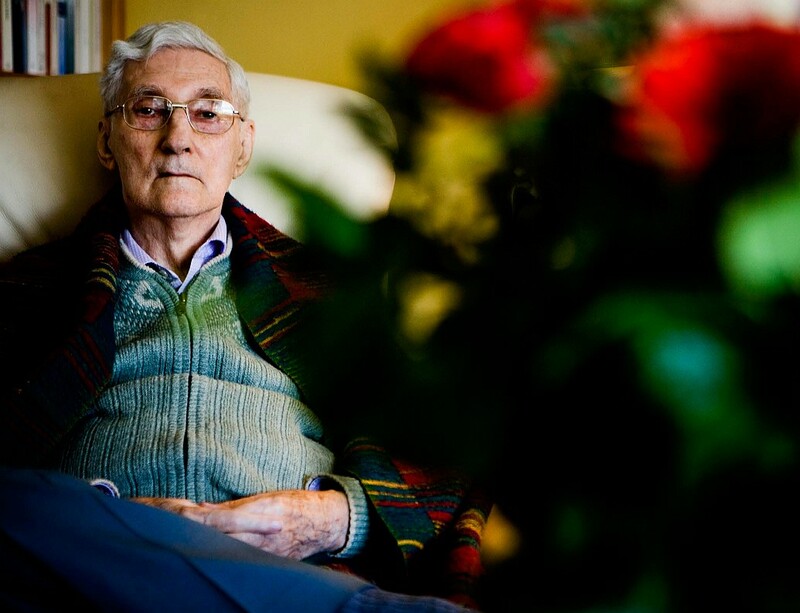 And today we'd like to give you a bit of background on how we've been setting up conditions to move towards being able to support the many languages of the Triratna world. 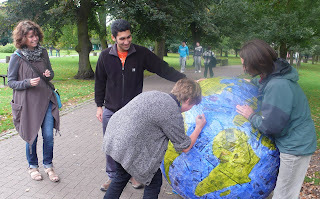 We received a UK government grant in 2008 to create our Community Places and community upload system. (see: Community Upload System Gains Momentum). With this we were able to set up individual archives for Buddhist centres and projects around the world, allowing for centres to upload talks directly to the site in their local languages. Places quite active with this are: Essen and Berlin, Germany; Valencia, Spain; Pune, India; Ghent, Belgium; Krakow, Poland; Paris, France; Oslo, Norway; Dharmakranti, India. You can also hear many of Subhuti's talks with simultaneous translation into Hindi on our specialist Indian Pages. Next, we took a fresh look at the structure of our site itself. If you look down in the lower right corner of the site, you will see five little flags. Seasoned users will remember that these little flags used to take you to versions of FBA in Chinese, German, Spanish, French, and Dutch. In fact, we had full translations of the site in each language but we discovered that people from those language groups didn't much visit as there simply wasn't enough local content available and easy to find amongst all the English language material. So we successfully set about promoting use of our upload system in non-English speaking Centres and replaced the full translations with some focussed content pages instead. This means that all the talks in a particular language can now be sorted together for quick access. In 2010 we've done this for Hindi, German and Spanish, and we're looking to extend the service to cover French talks (and possibly other languages) in 2011. Chinese, however, is a very special case! There are, as yet, no Triratna talks available in Chinese, but our site has modest use amongst English speakers in China and we're proud to provide them with a clear, Buddhist source of Dharma. And so far, the site remains unblocked by the Chinese authorities, which is also perhaps a feat to be celebrated! In general in our promotional work this year, we are aiming to communicate more directly with sanghas all over the world. This work has included creating email newsletters for local communities, and we have worked with several generous volunteers to create translations of these where needed. So far, we have publicized FBA in the Spanish, Dutch, and Swedish. In undertaking our international promotional and fundraising work, it has also become clear that we need to create donation pages in local languages in order to encourage local support! So we're happy to report that we have now finished the Spanish versions, and will soon be hard at work on the German pages. We hope this will really help folk everywhere in the Triratna Community come to feel a genuine sense that Free Buddhist Audio is made for them too! All this is, of course, only the start of what is possible. The new version of our website has been built to accommodate multiple language versions of all the text on the site, but it remains quite a complex task to make sure we have enough diverse content that will work in sync with different translations, and to consider how best to serve the needs of particular language communities. We are very much learning as we go, and we are learning in partnership with our international users! To that end we have set up a great working translation team, with technical assistance from one of our Spanish speaking community members, and we will look again at getting the whole site translated into as many languages as seems practically useful in the coming year. Getting all our FBA pages, features sections - and our search engine! - to work well across multiple languages is quite a technological challenge. But we are determined to serve our whole community and we're excited to be at the forefront of promoting a vibrant and coherent presentation of the Dharma for all in years ahead! Engagement with the Arts has long been a distinctive feature of the Triratna approach to the Dharma and Sangharakshita's view of spiritual practice in general. Free Buddhist Audio is very pleased to announce our growing collection of talks in the realm of Art & Literature. 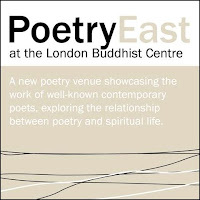 As well as a keystone recording featuring Sangharakshita in discussion with the celebrated poet Kathleen Raine, our Triratna Arts section now features a fantastic series from the Poetry East project organised at the London Buddhist Centre. 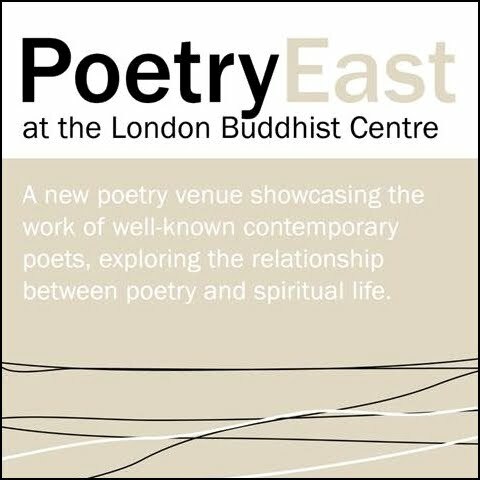 Showcasing the work of well-known contemporary poets, exploring the relationship between poetry and spiritual life, Maitreyabandhu, Director of the London Buddhist Centre, hosts bi-monthly conversations between award-winning contemporary poets and himself, also a recently decorated poet. So far Fiona Sampson, Hugo Williams, Mimi Khalvati, and David Constantine interviews have been uploaded and shared through Free Buddhist Audio's Community Places. Essential listening for lovers of the Arts! The Poetry East format is simple: each poet is asked to provide two or three poems from the canon that have influenced their poetry; which are read first, leading the audience into a short interview with the poet, hosted by Maitreyabhandhu. He explores with them their creative life and work with emphasis on their influences, and poets they admire. This is followed by a poetry reading and questions and answers from the floor. As the live evening is preceded by a short led meditation in order to provide the best listening conditions externally and internally, the team at Free Buddhist Audio would like to offer the same for our listening audience. Browse our guided introductions, led practices and other meditation resources from practitioners all over the world. The team at Free Buddhist Audio is working hard to create dynamic webspaces where our community of practitioners share their understanding of the Buddha's teaching. We need your generous contributions to continue our work. Please consider a donation to Free Buddhist Audio today! Idealism - strong, radical, humane - doesn't belong to the past. It keeps being reborn, and it is blossoming online. Free Buddhist Audio is there as participant and documentarian in an energized, inspired community working across generations to cultivate change. You'll likely know Free Buddhist Audio as a webspace for Triratna centres and projects around the world to share their working out of the Buddha's teachings. Free Buddhist Audio is the modern equivalent of the foundational oral tradition - a lively, user-friendly webspace where our community can share our inspirations, our understanding of the Dharma, and our Dharma work, in creative and evolving ways. In October, the Young Persons Group in Cambridge, England organized a Padmsambhava Day celebration for the sangha and wider community. 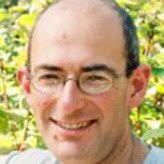 A series of Dharma talks were given on the theme of Taming the Demons of the Modern World, which have been uploaded to Cambridge Buddhist Centre's page on Free Buddhist Audio's Community Places. 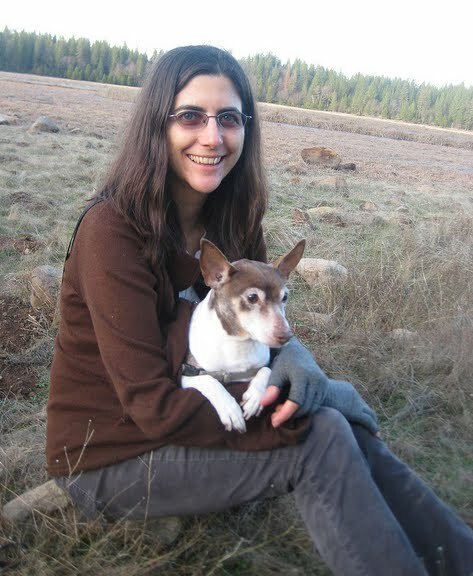 Viriyalila, promotions and fundraising team member of Free Buddhist Audio, was inspired to conduct an interview with one of the organizers of the event, Arthasiddhi, who works at Windhorse Evolution, a long standing Triratna (FWBO) Right Livelihood business. Arthasiddhi explained that a team of five volunteers had organized the event, along with a series of outdoor talks and public meditations. The group's vision was to try "to get out there in our local community and meet people who had aspirations towards making the world a better place." 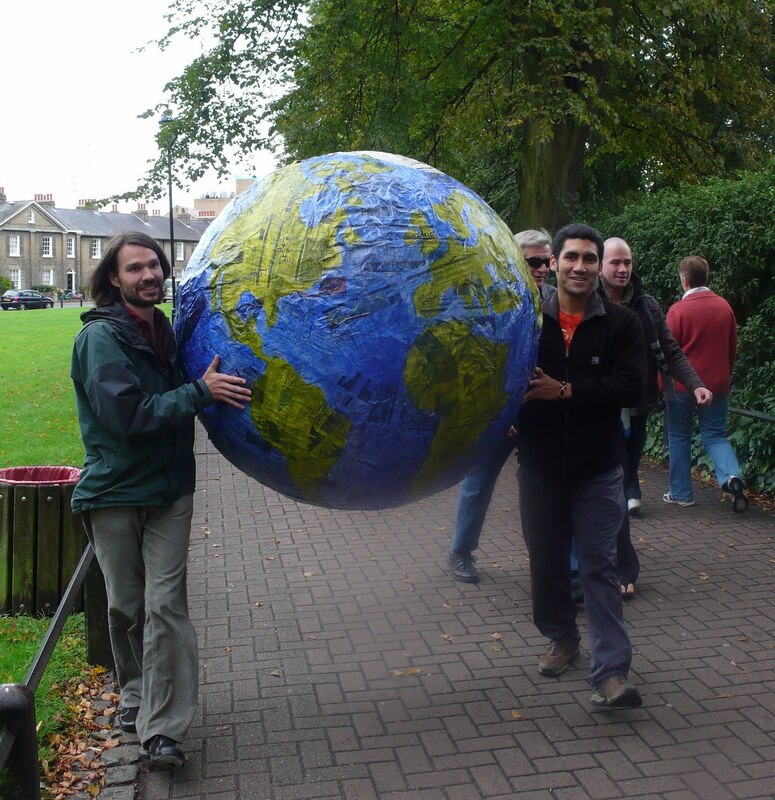 In the spirit of Padmasambhava's legacy, they themed the day Taming the Demons of the Modern World and had planned to give a series of talks on Jesus Green near the city centre, but the weather was slightly uncooperative for that, so this was moved to the Cambridge Buddhist Centre. 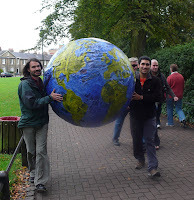 The Young People's team envisioned connecting with the wider community and had the slightly mad idea to create a papier-mache globe, four-feet in diameter, which they rolled through the streets, asking people to write on the globe what they thought they could do to Change the World. The team and participants were really energized by this, bringing a creative and playful expression of their Dharma practice into the world around them. One of the talks given at this event, The Demon of Choice, by Aryadhara, has been released as a podcast through iTunes. 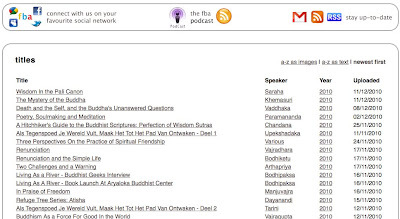 If you are not already a subscriber, consider joining the Free Buddhist Audio podcast. What follows is the interview that Viriyalila conducted with Arthasiddhi, exploring why he is active in organizing Young People's events in the sangha. The Free Buddhist Audio team is hard at work actively creating webspaces to support this sort of cross-cultural, cross-generational, cross-continent sharing of our lives, our practices, our aspirations, and our Dharma work. Please consider a donation to Dharmachakra/Free Buddhist Audio today so that we may continue to develop interactive and supportive webspaces, as well as provide free access to Dharma talks for people all over the world. 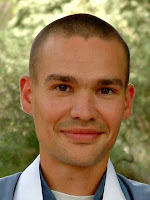 Viriyalila: Why is it important to you to have a specific Dharma voice, as it were, for Young People in the sangha? Arthasiddhi: Initially, as of just a few years ago, I was a bit cold to the idea of talking about Young People's Sangha activities - but over the last year or so I've come to realize that retreats specifically for people under 30 have been instrumental for creating a context that I, and others, have found deeply inspiring. These, initated by Lokabhandhu in Birmingham and then Sheffield, have absolutely sold me and others on the the idea of Young People's Sangha activities. My personal inspiration revolves around idealism - I want to hear the Dharma being communicated in an uncompromising and authentic way, and I think this is what young people want to hear as well - an uncompromising, idealistic, energetic and inspired exposition of the Dharma. We want to see and hear people who are passionate about what they are doing. Young people are in a different phase of life. Teenagers are just starting to experience a sense of individuation and are taking in the world around them and coming to their own assessment of what life is about. It is easy to look around us and experience so much disappointment at the lack of awareness, the lack of empathy, the lack of kindness, lack of meaning - coming into contact with an idealistic community can have a big impact on individuals in this phase of life. To meet people engaging with their ideals in a very real way through talks and by example is very encouraging for youthful idealists. Viriyalila: What do you think inspires younger people to commit more deeply to the spiritual life? Arthasiddhi: It's really important not to squash people's idealism, the question is how to respond to it. Folks in their 40s and 50s have gained a lot of life experience, partly through making mistakes, and perhaps can see the naivety that young people may have inherent in their strong response to idealistic principles. Understandably they may fear watching someone make the same mistakes as they did, or perhaps new ones. Does one respond to the seed of idealism or the weeds around it? Will it help idealism mature to say I wouldn't do that? I guess there are not simple answers here but people obviously need to make some of their own mistakes and they can do this in relation with others who are more mature. 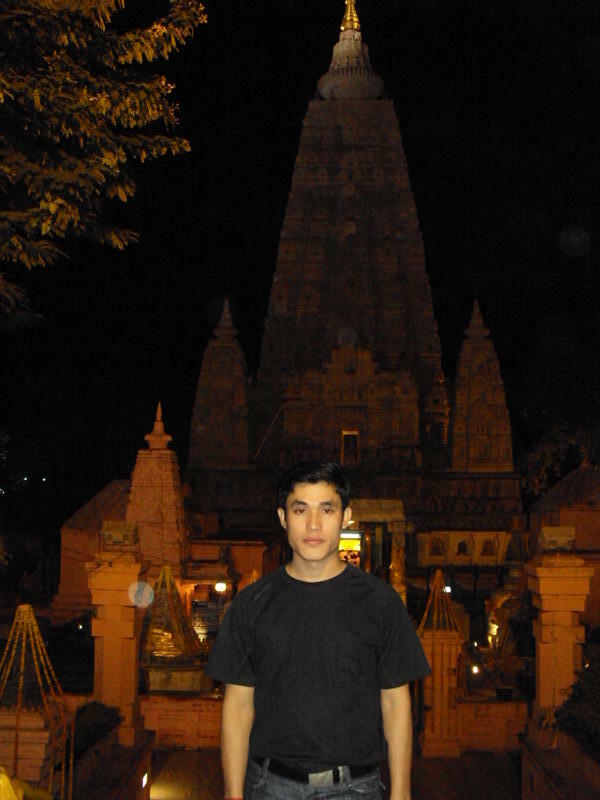 Viriyalila: What do you think young people relate to most in the Dharma or the Three Jewels? Arthasiddhi: The idea of the New Society, as described by Sangharakshita. It is noticeable that this has not been talked about much until just a couple of years ago and this was the theme that was very alive on the Young People's Retreat. This really struck me on a very deep level. It is understandable that this sort of idealism - Let's change the world! - would appeal to young people. And secondly, the sangha, the importance of friendship - people that can share their idealism and work together on projects. As someone under 30 you can sometimes feel like a lost soul, when you meet other people that share your ideals it can be a real boon and you start to experience some of your own individuality. You can feel a bit like the only person that cares about certain things. There is a real hunger to meet people who share your concerns and your values. It can really encourage young people to put more of themselves on those values through friendship with others. It is important to have a context where young people can express their energy and inspiration and where they can find ways to connect. It is also important that this is in connection with people who are wiser - and there is plenty of opportunity in the Order to be with The Wise. The way that happens and evolves is important, and looking for ways to connect and share is of great value. Free Buddhist Audio needs your support to continue developing webspaces that spread the Dharma and connect our community worldwide. Free Buddhist Audio has been working hard all year to provide opportunities for people all over the world to receive the gift of the Dharma and connect with the Triratna Buddhist Community. We are pleased to share with you Seven Days of FBA - featuring some personal stories from members of our online community, as well as updates on new features and a celebration of our 2010 milestones. Stay tuned for articles on Young People, Our Host of Volunteers, New Spanish Translations and more! Responding to suggestions received from our online community, our team has been rolling out several new features for our services - a new and improved search engine, for both audio and text, as well as new navigation features that allow talks to be viewed as images or text. The result is A-Zed Dharma at your fingertips! Q. How do you make 17 million words and 1000+ talks easily searchable? A. With a lot of constant effort! We're happy to introduce here the latest and greatest version of our search engine. It's been re-written to allow more flexible keywords and search items to improve the results given. We hope you'll find it useful! Located in the upper right corner of the site, a panel appears when you begin typing in your search item. The default search is for audio, but you can also specify 'text' and adjust a few other key things, and then you're off and running. And we'll remember the way you set things for your next search - though it's always easy to change with a simple click! If you prefer, of course, you can easily do more advanced searches in the text archive (we provide clear, plain English instructions! ), which contains all of Sangharakshita's seminars, and is growing with every transcription we receive from our volunteer community. And with this, let's take the opportunity to thank our host of volunteers - your work helps make FBA a more comprehensive service that benefits many beings! We are also very pleased to announce new navigation features we've added to many of the pages within the site. Collections of talks can now be viewed as images or text lists, depending on what you prefer. You can also view the talks alphabetically, chronologically, or even (in relevant places) by date they were uploaded. Our team is constantly working to think ahead about the needs of the community - five, ten, fifty years! As our archive grows with each new talk given around the world, we are developing systems to maintain our oral history and keep it flourishing and readily available to all. Modern innovations on the web helps us provide you with better access today and preserve our teachings for many generations to come. Please support us in our efforts! "I am delighted to announce that at the November meeting of the College of Public Preceptors, Dhammarati was elected as Chair for another 5 year period. Padmasuri and Saddhaloka were elected as deputy chairs. An Indian deputy chair will be elected at a later date. There will be a report from the meeting available in January". 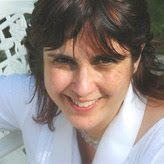 Abhayanaga, an American member of the Triratna Buddhist Order, writes from California with news of their Right Livelihood business Tipu’s Chai (www.tipuschai.com). Tipu’s has been taking off lately, and is now available all over the States- rumour has it that it’s even coming to the UK soon! Check www.tipuschai.com/buy-our-chai/store-locations for the current outlets. “Buddhapalita was recently interviewed on the local Missoula news station KECI and the clip is available on their website. Buddhapalita’s the President and founder of Tipu's Chai in Montana, and we think he did an excellent job! This is especially true considering that the interview was filmed at 6am, and he had just returned from a week of hard work in New York sampling out Tipu's Chai at Dean and Deluca's Manhattan locations. “Please share this video with anyone who knows Buddhapalita, or who you think may find it enjoyable. “Also, please follow us on facebook and twitter, or if you've had the chance to try our delectable chai, write a review on Amazon for us. All of this online attention really helps and has a very positive impact on our business. “Here is the first proper 'report' I have been able to put together since arriving in India this time. I hope you will find it enjoyable, and I apologise if you would rather not receive it, please let me know if that is the case. “I am writing this while sitting in an almost unbearably hot internet shop, in Trivandrum, the main city of the South Indian state of Kerala. Trying to imagine the freezing UK my friends are writing about - it seems like an alien world. Trivandrum is steamy and humid (it has rained a lot), coconut palms grow between the concrete buildings. and most men wear the short lunghi, a kind of folded-up skirt...Priyadaka wearing his, is a sight to behold. In a crowd, the air is filled with the rapid-fire burr and bubble of Malayalam, which sometimes hardly sounds like language at all. A different world. “I am travelling with two of the best companions in the good life, that you could imagine. Helen Sullivan is from Sheffield, lives in Manchester, and decided to come here on the basis of a couple of meetings - she is just great to be with, resourceful, patient, kind and honest, and highly idealistic. I enjoy her company more by the day. She has a strong response to the spiritual aspects of life in India, and became a mitra (a more committed Buddhist) at Bodh Gaya, the place of the Buddha's Enlightenment, a couple of weeks ago. A hugely special occasion which she shared with 19 of the students we are supporting at Aryaloka Computer Institute, Nagpur. She is teaching English to those students and others, together with our fellow-traveller Priyadaka....the nicest guy ever to put the wind up me by swimming out to sea in the dark, and disappearing for what seemed like an age...I am glad to report that he reappeared, after several minutes of running up and down in utter panic....this is the way Priyadaka is, I'm afraid. “He has many other qualities too. Typically, when I twisted my knee in a slick puddle and was hobbling for some days (not easy in India, where the ground is rough and the lighting unpredictable) he was just unfailingly aware and helpful, step by painful step...and his English classes produce gales of laughter, howls of glee, and a lot of English...he is a thoroughly compassionate man. For the last few days we have been thoroughly enjoying the natural beauty of Kerala, the backwaters and the beaches, the cormorants and sea-eagles, the fishermen and coconut sellers, the unspoiled loveliness of it all, as well as meeting good friends. 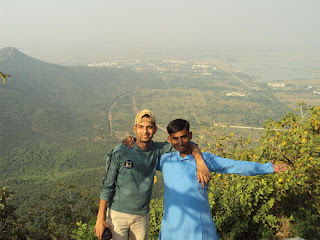 “The first month in Nagpur, was quite hard work for all of us. The students we are supporting are studying Animation (both 2D and 3D) - ten of them, fully supported, or Hardware and Networking, 4 of them fully supported, plus 2 part-timers. The Animation students especially, are finding the course tough. A lot is being expected of them (would-be animators in the UK usually study for 3 years) and maybe not all of them will make it, they will have to be guided into other career channels, eg photo studio work. However, to the delight of everyone, 3 of our last intake of Animation trainees are now on their way to very good jobs in the industry, having been offered training with a view to full employment in a big company in Delhi, at salary levels undreamed of by young people from their poor background, doing enjoyable, creative work. Their experience will open up a career path to the graduates who follow. In fact, all but 1 of last year's intake are now employed, with good prospects. 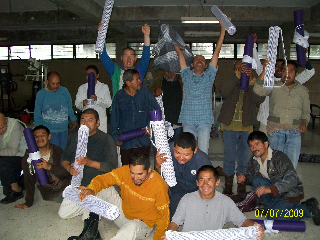 Very encouraging, even though to continue to support them stretches our resources to the limit, giving them this capacity for self-sufficiency for themselves, their families and their communities, makes all the effort completely worthwhile. It is the most satisfying thing I have done in my life. “May you all be well and happy, life going well for you, well wrapped and healthy. 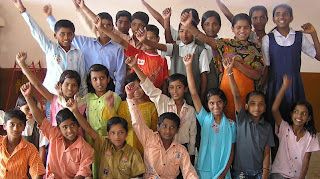 “Thanks to the generosity of donors, a group of 19 students from Aryaloka Computer Education Centre, in Nagpur, central India, (www.aryalokaeducation.org) were able to attend the November 2010 convention of Triratna's National Network of Buddhist Youth, held at Bodh Gaya, historic site of the Buddha;s Enlightenment. This was held from 16th-21st November, and was chaired by Kumarjeev with Subhuti as guest speaker. The students, from a number of different marginalised communities in India, are doing courses in Computer Animation skills and Hardware and Networking, supported by the online Young Indian Futures fundraising campaign. “These young people are especially interested in social development work in their communities, and the courses are intended to give them financial security and independence. They are followers of the great leader of 'Scheduled Castes' Dr. B. R. Ambedkar, who was himself a Buddhist, seeing his conversion to Buddhism as a means of giving dignity and self-reliance to his people, and freeing them from 'the hell of caste'. So we thought it would be great to give them the opportunity to visit Bodh Gaya, the heart centre of Buddhism, the place of the Buddha's Enlightenment, to hear inspiring talks and make connections with young people from all over India, of similar ideals and background. “The students just look delighted with everything - the Maha Bodhi Temple, the meditation, the talks and workshops, the fishpond, the shrines, the gardens, the company of Buddhists from all over the world, each other's company....one day they visited the family home of Ramesh, in a village near Bodh Gaya - his father is a potter, and the family made them wonderfully welcome. Ramesh was smiling all over his face, the whole trip! "The mitra ceremony was the perfect end to an inspiring and moving week. The day started with meditation at the Maha Bodhi temple and ended with the ceremony under the bodhi tree. The Burmese monks had kindly allowed us use of their shrine at the Maha Bodhi temple which sits directly under the bodhi tree; so with the full moon and starlit sky as the backdrop, Subhuti led the ceremony. After lots of flowers and Sadhus we finished with a candlelit walk around the temple then back to the monastery to continue the celebrations". There's more photos of the pilgrimage available on Triratna Photos or via the FlickRiver feed below. Windhorse Publications, for many years the Triratna Buddhist Community’s main publishing house, is proud to announce their latest new title - ‘The Poet’s Way’. Beautifully produced, it’s a practical guide to writing and sharpening up your poetry writing - everything from line to rhyme and shape on the page. Its special feature, of course, is that its written by Manjusvara, a long-ordained member of the Order and already well-known as the author of ‘Writing Your Way’ and co-founder of Wolf at the Door writing workshops. As such, he’s perfectly-placed to offer Buddhist reflections on the writing process and issues such as influence, memory, and the relationship with prayer and ritual - hence, to vividly demonstrate how poetry can reveal new aspects of spiritual life. 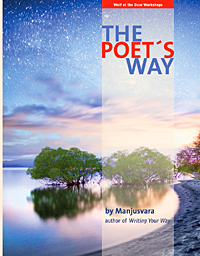 "The Poet’s Way is a step-by-step guide which breaks poetry writing down into its essential elements with chapters such as ‘Rhyme and the School of Song’, ‘The Mindfulness of Language’ and, ‘Letting the Silence Speak’. It’s a practical guide to writing and, at the same time, it communicates with great depth Buddhist wisdom, compassion and insight. ‘This book will transform your writing no matter what stage in your career, and it may even transform your life” Des Dillon, Arvon Foundation tutor and award-winning poet. “This is our last new book of the year and there are some interesting Winter themes I think – imagination, intuition and reflection. Plus a bit of magic and mystery too. Not to mention it goes very well with cups of tea on these chilly nights! “And it’s out now! You can order by emailing us at sales@windhorsepublications.com or it should be available from most Triratna Buddhist Centres very soon. The Poet's Way from Clear Vision Trust on Vimeo. "For the last month Bhante has continued to be engrossed in his literary work. He finished the third of his 'Looking Back' trilogy - about his search for traces of his Lingwood ancestry. This appears in this month's Shabda, entitled 'Reflections'; and now has begun set down some memories from his early childhood, memories which he has not written about hitherto. As well as new literary projects, he has also had the surprise pleasure of revisiting an old one. Maitreyabandhu dug up, in the British Library, a copy of an article written by a certain Dennis Lingwood, when but nineteen years of age, on the poetry of Sarojini Naidu, one of the first Indians successfully to write poems in the English language. The article is still very readable - more so than Bhante had expected - despite the style being very different from that of his later writings. I have typed it up, and you can find it on Bhante's website www.sangharakshita.org. "Among the many subscribers to the afternoon slot for receiving visitors, Bhante has enjoyed tea and biscuits in the company of a group of young women from Sheffield, who have recently formed a new community; and a men's Chapter from Cambridge. Yesterday Paramartha accompanied him to Cannon Hill Park, to enjoy some Autumn sunshine. "Audio books that Bhante has enjoyed have included: Susan's Story by Susan Hampshire, the famous actress's account of how dyslexia affected her life and career; and Vanessa Bell by Frances Spalding, a very readable biography of an artist who was at the centre of the Bloomsbury group. He and I finally finished the Lalitavistara - the highly elaborated and imaginatively rich account of the Buddha's birth, and life up to and including his first communication of the Dharma - which took us a couple of months of twice weekly bed-time reading. Staying with the theme of Mahayana Sutras, we have now embarked upon the Gandhavyuha. "Bhante had his annual blood test, the results of which were satisfactory. Apart from that there is no news regarding his health, except that he is, as he said in a recent letter, 'in good health, and even better spirits.'" Karuna joins the Big Give - all donations made tomorrow (starting 10am) will be doubled to reach £20k target! Stephen writes from Triratna’s Karuna Trust with news of their latest fundraising appeal - to help 10,000 Indian children out of child labour and poverty. Tomorrow - Tuesday December 6th - is very special in that they’ve teamed up with the Big Give so that from 10am onwards ALL DONATIONS MADE TO KARUNA ONLINE WILL BE DOUBLED. Click here if you want to be part of this and help them reach their £20,000 target. He says - “Up to 60% of the children living in villages around Sangamner, Maharashtra are scavenging on streets, or labouring in factories or fields, rather than going to school. We want to turn this disgraceful statistic around and allow all children to access their rights to education and liberty. “Education for all children is the only viable and sustainable long term path to escaping poverty. That is why our goal is to achieve 100% school attendance in each of the 150 villages we are working within. The solution must involve everyone: parents, communities, local government and schools. The aim will be achieved by providing a comprehensive, holistic Child Rights programme to organise, educate, train and empower all stakeholders. “We’ve come up with a £20,000 project that will give every child of these 150 villages their liberty and education, allowing them to escape poverty and participate fully in society. We will demonstrate the success of this project by monitoring the number of children completing their education. Success will be 95% of children completing their education to age 16 and 65% completing their education to age 18. “We’ll be working with The National Institute For Sustainable Development (NISD), who work within displaced, socially and economically disadvantaged communities focusing mainly on children and women. “Click here if you’d like to donate and have your donation doubled!